To make things a bit easier on you, here are some of our most frequently asked questions. If you don't see your question here, feel free to CONTACT US directly. We're here to help! If I live near Nashville, Tennessee, can I pick-up my order in person? Absolutely! Your order can be picked up at our retail shop location at 2509 Hospitality Drive Columbia, TN 38401. We are located 2.5 miles from Saturn Parkway beside Embers. Can I make a custom or special order? Most of our competitors stock their products once per week and sell that product off over the course of a week. Many of our competitors use artificial smoke flavoring in their products. 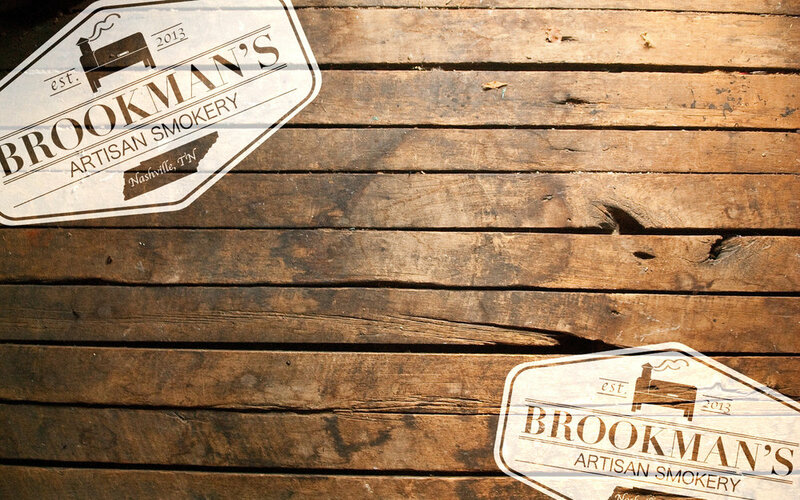 We bring in fresh product on demand, and hand-smoke with love - no artificial flavors or preservatives are allowed anywhere near Brookman's Artisan Smoked Meats. I BOUGHT SOME FISH... NOW WHAT? Thanks for ordering with us. Once you get your package open, here's what to do! If you have any questions, don't be shy... give us a shout! Store seafood in the coldest part of the refrigerator for up to 3 days. Live shellfish need to breathe. Store them in the refrigerator in a bowl with a clean, damp cloth over them. Squeeze any open shells closed. If they don’t stay closed discard them. Freeze any fish that you do not plan to eat in the next 3 days. We recommend wrapping each piece of fish tightly in cellophane and placing in a freezer bag. Vacuum sealing your fish is a great option. Store your fish for up to 8 months in the freezer. When baking, broiling, grilling, steaming, or poaching fillets, steaks, or whole fish, use the 10 minute rule: cook 10 minutes per inch of thickness at 400 degrees. In general, fish is cooked when its meat just begins to flake when tested with a fork and it loses its translucent, raw appearance. Doneness of fish can also be checked with an instant-read thermometer. Remove fish when it approaches 140 degrees, and let it rest 5 minutes, as it will continue to cook. Shellfish, such as clams and mussels, will cook and open after 5-10 minutes. Once most are open, discard any that remain closed. Shrimp and scallops are done when they have turned opaque and their texture changes from soft to slightly firm, generally after only a few minutes. If you don't see your question above, please CONTACT US directly. We would love to hear from you!